Caltrain has proposed increasing zone fares by 25 cents to help cover a projected $10 million operating budget shortfall. The railroad's fares are based on the number of zones traveled. Under the proposal, the cost of traveling within one zone would remain the same, but fares for additional travel would increase by 25 cents per zone. For example, the current cost of traveling two zones is $5.75; Caltrain's proposal calls for increasing that to $6. Travel between three zones would increase from $7.75 to $8.25. Caltrain last adjusted fares in 2016, when adult base fares and parking charges rose 50 cents. 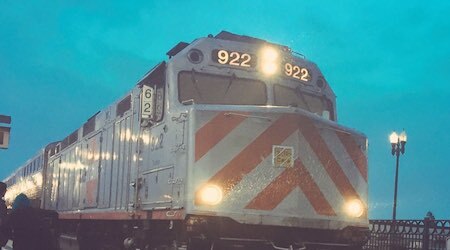 The higher fares would help Caltrain meet the rising cost of operations due to record-setting ridership and maintenance of its aging diesel system, Caltrain officials said in a press release. "Unlike most transit systems, Caltrain does not receive dedicated funding to support its operations," they said. "Without dedicated funding, Caltrain depends on its member agencies to cover the cost of operating the system, but those agencies are unable to fully cover those costs in fiscal-year 2018, leaving Caltrain with a projected $10 million operating budget shortfall." Caltrain also proposed creating a pilot program to provide discounted fares for weekend and evening riders. Other fare changes included in the proposal can be found here. The railroad will host a public meeting tomorrow to gather feedback on the proposed changes. Caltrain's board is scheduled to consider the fare hike in August. If approved, the higher transit fares and parking charges would go into effect in October.